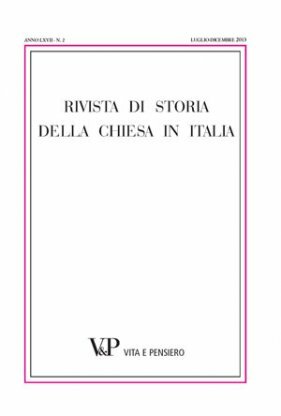 In 1980, Agostino Paravicini Bagliani published what was then supposed to be the sole surviving testamentary record of Giordano Pironti, cardinal deacon of SS. Cosma e Damiano, preserved in the archives of the cathedral of Viterbo. This took the form of a brief codicil, recording the identity of the cardinal’s executors and listing a series of bequests, for the most part to kinsmen and familiars, the kinsmen bearing the name “Pirunti”, itself of no small signifi cance in confi rming the cardinal’s own family name. The codicil at Viterbo was phrased merely an afterthought (a “codicillum”) to a will (“testamentum”) already made. It is this will, or a substantial part of it, that has now re-emerged amongst the archives of Salisbury Cathedral. It is published below. As I have remarked in other contexts, the well-stocked archives of England, supplemented by the extraordinarily rich evidences of the English royal chancery, often supply a better resource from which to reconstruct the careers of French and Italian visitors to England in the thirteenth century than the archives of France or Italy where we might expect such fi gures to be properly documented. In this particular instance, we are fortunate that Salisbury Cathedral boasts a rich collection of thirteenth-century wills, for the most part of the canons of Salisbury Cathedral. These were preserved, we must assume, because of the pious diligence shown by such canons in bequeathing property to the cathedral church. As we shall see, not only do the English archives supply us with cardinal Giordano’s will, but they permit a far more detailed examination of his career than anything previously attempted.